Of the available stop-gaps, Moustakas and Solarte would make the most sense. Moustakas is coming off a one-year deal with the Royals, although he was traded to the Brewers before the deadline. The left-handed hitter is only 30 years of age and coming off a pretty productive season. He may cost a few more bucks than the other free agent third baseman listed above, but will likely provide the most production. Moustakas is also a former teammate and great friend of Padres’ first baseman Eric Hosmer. He slashed .251/.315/.459, with 28 home runs, and a 2.5 WAR in 2018. 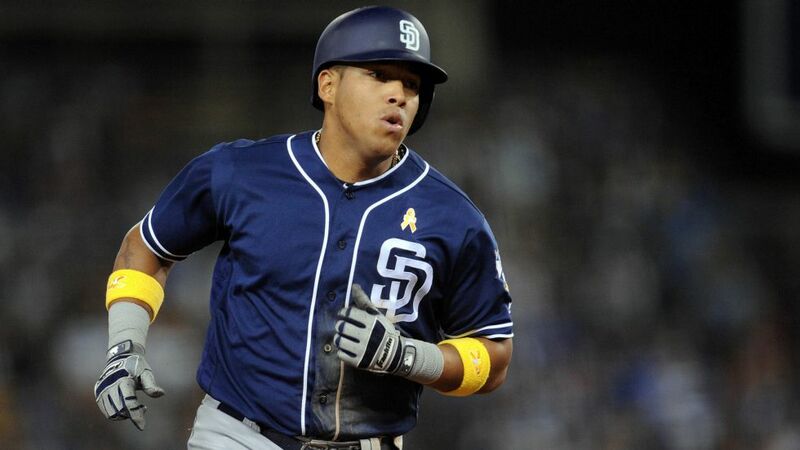 Solarte is another option who has encompassed the passion of baseball and making it fun throughout his career. The switch-hitter struggled in Toronto last season producing a negative WAR at -0.7, hitting .226 with 17 home runs. Solarte would be very cheap and can play across the infield. Rumors have surfaced recently stating that the Padres may be the mystery team in on Machado. Obviously, that is all speculation and you can’t always believe these rumors in a very slow offseason. 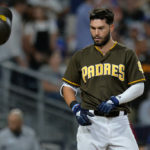 Although, last season the Padres surprised many with the signing of Eric Hosmer, and could potentially be in play for Machado. If they do sign Machado, it would definitely be the largest free-agent contract in Padres’ history and would lock him down at the hot corner for the next eight seasons or so. Signing Machado would easily answer any questions the Padres have about third base for 2019, and for years to come. At only 26-years-old, a long-term deal worth the richest contract in history, comes with a lot less risk. With speculation about where Manny will sign nearly every day this offseason, Marwin Gonzalez seems to be a forgotten free agent. Gonzalez is more naturally suited for the outfield corner spots, although he has showcased unbelievable utility throughout his career. 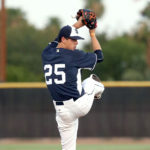 Gonzalez only spent 19 innings at third base in 2018 but has played there 576.2 innings across his career. He could be locked down long term at a cheaper contract than Machado and produce similar numbers. He is currently 29 years old but will open the 2019 season at 30. In 2018, he logged innings at every single position on the field except for pitcher and catcher. Marwin Gonzalez could be a player to answer the third base question for the Padres. 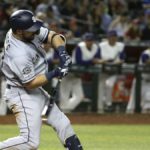 This offseason, the Padres have been rumored to Andujar, Senzel, and Suarez. 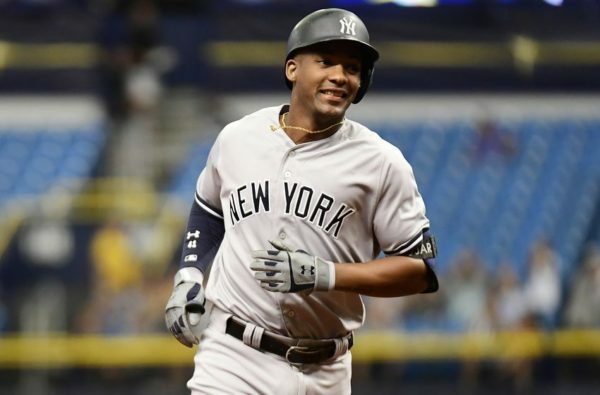 A trade for Andujar or Senzel would likely be a three-team trade. 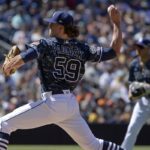 It was rumored, that the Padres could be in on a trade with the Reds and Indians, that included Senzel from the Reds, Corey Kluber from the Indians, and prospects from the Padres. 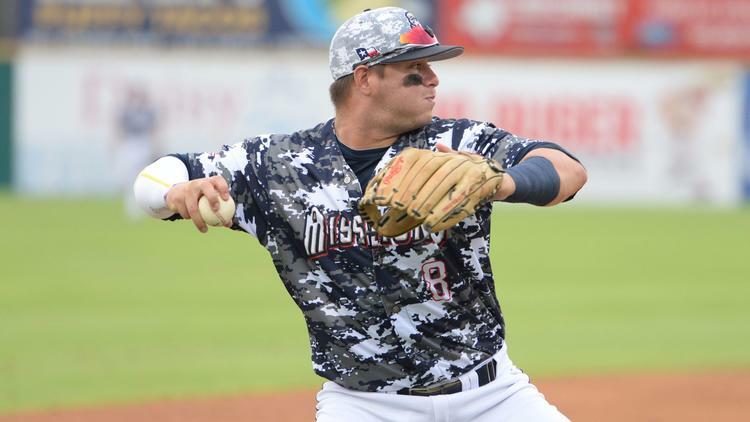 It was suggested that same trade scenario could be in play for the Yankees Andujar in the place of Senzel. Regardless the Padres would have to give up a lot in order to acquire Senzel, a top 10 prospect in baseball, or Andujar, the slugging AL Rookie of the Year runner-up. The idea is that both Senzel and Andujar would fit perfectly into the Padres’ window of contention. 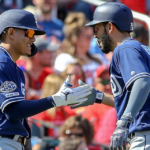 They could slide into third base with other youngsters Luis Urias and Fernando Tatis Jr. at second base and shortstop. Austin Riley from the Braves could also be a great fit for the Padres. Riley slashed .294/.360/.522 across three minor league levels in 2018. He also had 19 home runs and 30 doubles over 408 at-bats. The Braves could be willing to part with the top prospect because they have depth at third base currently, and have other holes to fill. The Padres’ have a lot of depth in the outfield, which could lay the groundwork for a trade. The Braves also signed Josh Donaldson to a one-year contract this offseason, and also have a young third baseman in Johan Camargo who produced well in 2018. Camargo is only 25 years old and produced a 3.7 WAR over 464 at-bats with 19 home runs and a .272 average as a rookie. There are many different routes the Padres could take to resolve their third base issue. Fernando Tatis Jr. could also end up moving to third base in the future, although the idea right now is he will remain at shortstop. 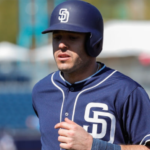 Regardless, the Padres’ opening day third baseman and third baseman of the future is very much in question presently. 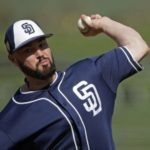 The Padres have many different angles they may take to sort things by the end of spring training, and it will be interesting to see what will happen. Liked the article and love the prospects we have coming up. We really should try to trade myers, eat some of his money and pay machado…..but i really do dislike him as a person. Also not a fan of having Tatis look up to him. One thing to consider/change in your article is saying that Marwin has a chance up putting up similar numbers to machado at less dollars. Simply not true. Machado was literally twice the player Marwin was last year in WAR and ever other category is a landslide. Maybe you meant Marwin would put up similar numbers to moustakas. If that’s what you meant, very palatable. There are almost no SS/3B that are worth what Manny is. There were 8 total players more valuable than him this past year. 4-5 play a similar position and rendon is the only one that will be available in the next 2 years. I think Owen Miller is very interesting and would like to see him get to at least AA this year and see how his hitting holds up.